Happiness is a “State of Mind.” And when we say “state of mind,” we mean embrace the couples home town when hosting a bridal shower. You will quickly find that there’s actually a lot that can be used to help create a wonderful quick and inexpensive party. Anything “513,” will share were your heart will always belong. 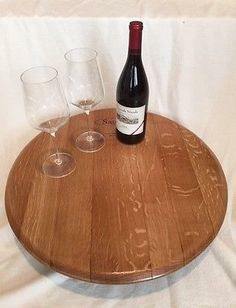 How fun to share with the out of town friends and family. We suggest using everything local, Reds flags, Bengals pennants, local schools the bride and groom might have attended. Share their story about the tri-state. Not sure what kind of party favor to give your guests? 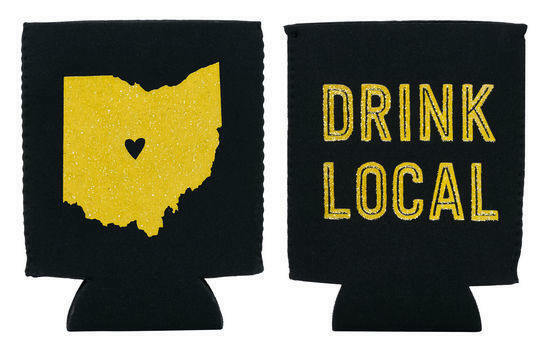 Well, they probably love the great state of Ohio just as much as you do so why not get them a cool Cozies to help keep their drinks cold – plus, they’ll think of you every time they use it! this State of Mind drink Cozies is available at A Village Gift Shop and is 5.99.You can really go as unique and creative as you want with this as long as it pays tribute to Ohio in some way! When it comes to food, go for local favorites. 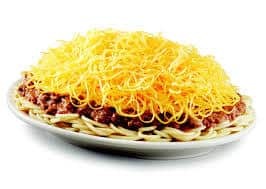 This is where you’ll want to turn to Skyline Chili, Montgomery Inn, or a food truck that’s unique to Cincinnati, or any other local eatery that you’re 1,000% sure will wow your guests. Serve the couples local favorites and don’t be afraid to ask the local establishments for free signage, and paper goods. If you’re having trouble finding just the right items that you need to throw the ultimate Shower, then you can always turn to A Village Gift Shop to meet you needs. Over at A Village Gift Shop you can find a lazy Susan and have it engraved with “513” or any other customization, and even find pennants and Ohio plates that will pay tribute to the place that will always be home in your heart! P.S. – you can totally use ideas like these for any state or any other celebrations like fathers day!